10% off Sale www.dubfelgenwerks.com Spring Holiday Sale code: spring10off - Miata Turbo Forum - Boost cars, acquire cats. "TRUE PRICES FOR A GREAT STANCE"
Guys i'd like to point out an ad copy boo boo on your site. "OLD SCHOOL MESH DESIGN 3 PC LOOK"
I'm honestly a little sad that they seem to be allergic to 5x114 bolt pattern. 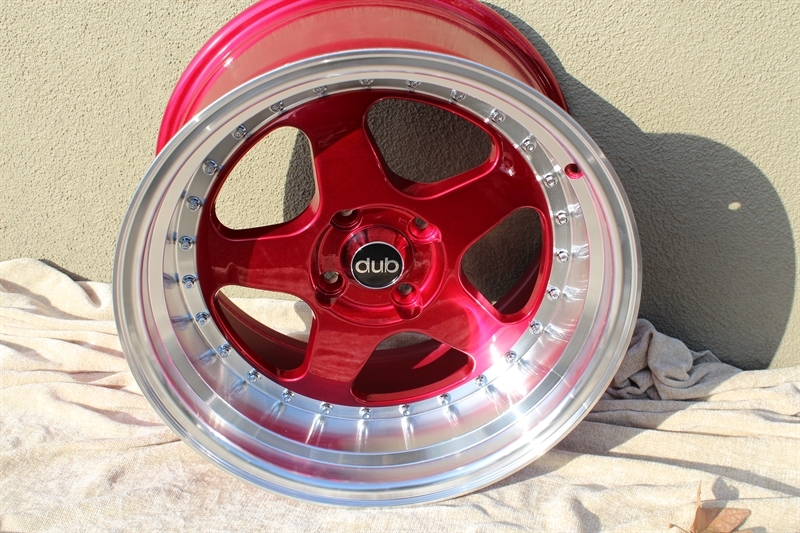 There's a couple wheels i'd maybe be interested in for the daily driver because i like replicas on that car. The prices on your website are PER WHEEL? You heard the man: "TRUE PRICES FOR A GREAT STANCE"
A local company, 209 baby! Straight outta' Stockton! Is that a $135.00 shirt? How do we tell on the website? How do we know those are "TRUE PRICES" ?